Valentine's Day is just around the corner, so I made this special for a friend. 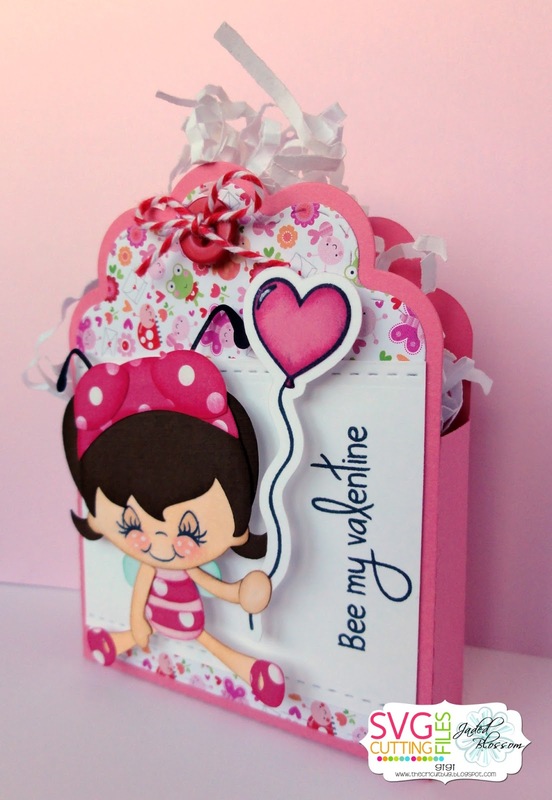 I started this project with the Scallop Caddy Die and cut it out. I cut out a simple white piece for the center and used the Border Dies to add in the stitching lines to the top and bottom. 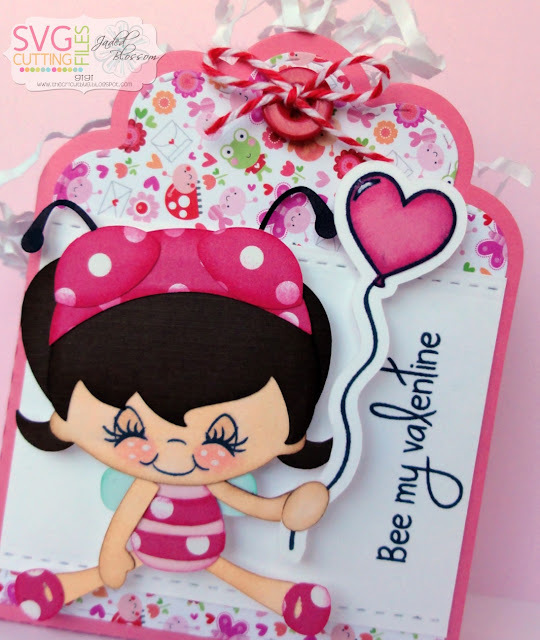 I cut the bee girl from the SVG Cutting Files Cute As Can Bee file and stamped the face with a Peachy Keen Rosies Favorites face stamp. I stamped and paper pieced the balloon from the Valentine Panels and added it to her hand instead of the flower she originally had. I stamped the sentiment to the side using the Pugs and Kisses stamp set, added a button with twine bow, and pop dotted the bee girl to the box. To finish, I added some paper shred to the inside of the box along with some candy. I cut the covers using the Candy Wrap Dies and stamped the designs with the Valentine Wraps and Light's Camera Action stamp sets. Love both of you items of Gili sooo cute.